Wear it when you need it, stash it when you don't. 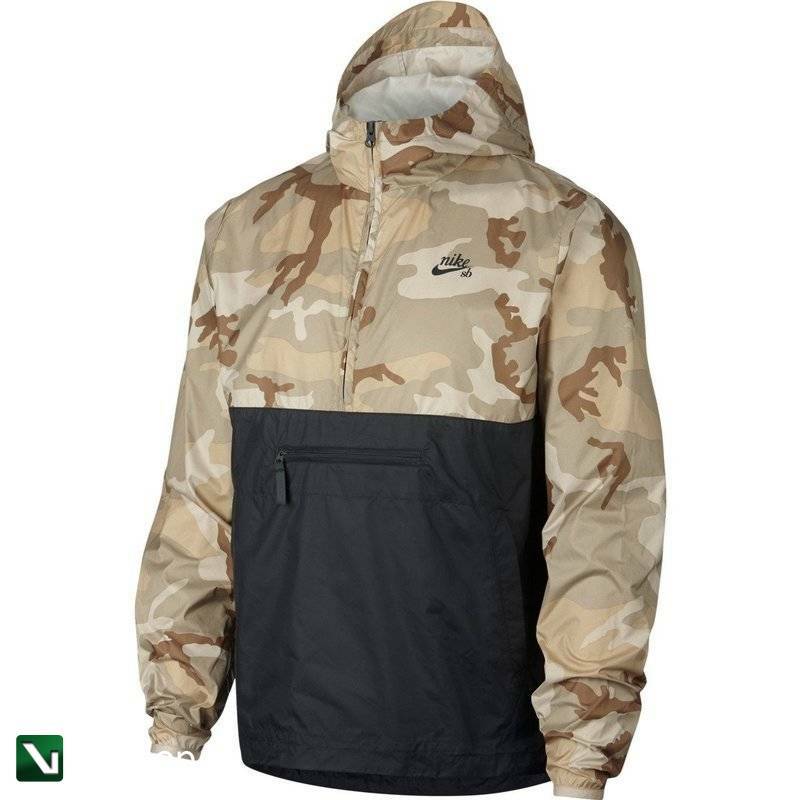 The Nike SB Anorak Jacket is a water-repellent layer that's fully packable. A military-inspired camo print upgrades your look. Water-repellent finish helps you stay dry in light rain. 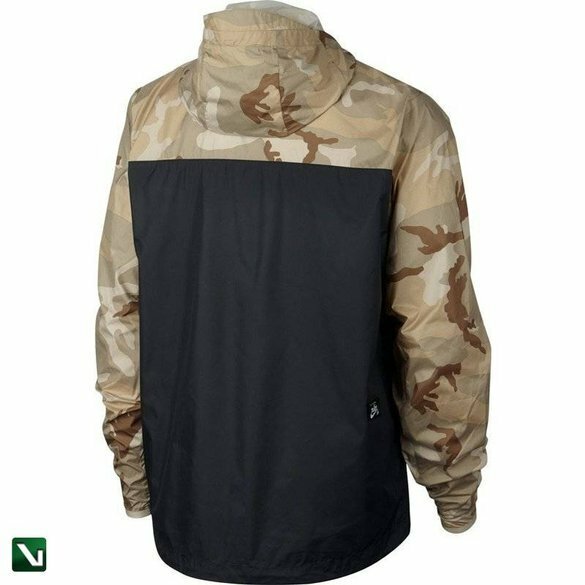 Jacket packs down into a zippered front pocket so you can store it on the go. Zipper garage provides comfort under your chin. Drawcords at the hem and hood let you adjust the fit. 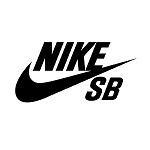 Nike SB branded hanger loop makes it easy to hang your jacket.